Dr. Chalon Keller is a USU professor who helps Huntsman MBA students soar to new heights! Her successful career with the United States Air Force propelled her to become a world-class professor in operations management. With her firsthand experience implementing continuous improvement initiatives and managing international operations in the public sector, she shares her knowledge with MBA students to prepare them for the real-world challenges. Prior to joining the ranks as a Professional Practice Professor of Management in 2017, Dr. Keller’s professional career was spent in the Department of Defense and with numerous Air Force organizations. She held squadron, division, and branch management positions with the F-16 System Program Office and with two different maintenance organizations at Hill Air Force Base. As the Chief of Process Improvement within the Aircraft Division at Hill, her leadership led the F-16 Aircraft Maintenance Squadron to become a two-time Shingo Prize recipient in 2005 and 2006. As Chief of the F-16 International Branch, she managed the F-16 sustainment program for 24 partner nations and oversaw an operating budget of $6.6 billion. Dr. Keller has made broad contributions to the MBA program and the Huntsman School of Business both in and out of the classroom. She served as the Associate MBA Director at Utah State University from 1999 to 2003. During her time at Hill Air Force Base, she continued to work as an adjunct professor in the MBA program. Dr. Keller has always been passionate about upholding Utah State’s land-grant mission and creating business education opportunities in the rural parts of Utah. She was instrumental in crafting a partnership between Utah State University and Snow College to bring USU business degrees to students in Ephraim. Starting this fall, Dr. Keller will take her talents to the Clark Center for Entrepreneurship in the Huntsman School of Business, where she will assist in building a world-class center that teaches and promotes entrepreneurial leadership. She has taught both undergraduate and graduate-level management courses for the Huntsman School of Business. These courses have covered subjects including operations management, strategy, marketing, and production planning. Students speak highly of their experience in her class and love learning from her academic and industry experience. Dr. Keller is an Aggie through and through. She earned her Ph.D., Master’s, and Bachelor’s degrees from Utah State University. Her academic expertise includes economics, sociology, and organizational behavior in addition to expansive training in logistics and operational excellence. Outside of the classroom, Dr. Keller enjoys doing anything outdoors, running, going to the gym, and horseback riding. She is a huge football fan and loves watching both college and professional games. The greatest value of the Huntsman School of Business is the faculty who provide students with a broad business education and the experience needed to apply it. 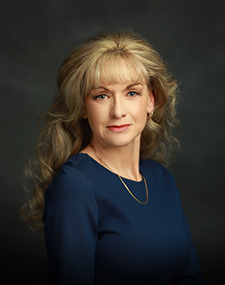 Dr. Chalon Keller has done incredible work preparing students to take on challenging careers, and the Huntsman School is delighted to have her as a faculty member.